The editing suite for Audio Control Room B at Dallas Audio Post, featuring Genelec 1237A Three-Way Smart Active Monitors™. 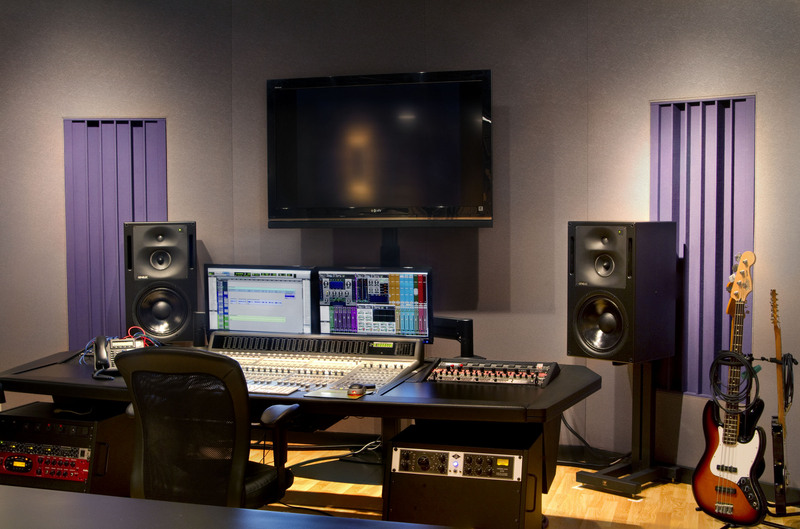 NATICK, MA, October 22, 2014 — Genelec, the leader in active monitoring technology for over 35 years, is proud to be the monitor of choice for post-production facility Dallas Audio Post for the entire course of its 20-year history. Since its founding, Dallas Audio Post has proven itself to be a versatile and highly adept post-production firm, delivering on projects ranging from TV and film clients to corporate, live event, political, video game, sports clients and much more, with specific jobs including voiceover, sound design, mixing, custom music scoring, ADR and Foley work. Recently, the facility became the very first U.S. installation of Genelec’s new 1237A Tri-Amplified Smart Active Monitor™ (SAM™) system, featuring proprietary AutoCal™ and GLM™ technologies and powerful Class D amplification. The 1237A features a 12” (300mm) bass driver, 5” (130mm) Genelec midrange driver and a 1” (25mm) metal dome tweeter, where the mid- and the high-frequency drivers are mounted in Genelec’s proprietary Directivity Control Waveguide™ (DCW), which allows the system to reproduce flat frequency response both on and off its acoustical axis, thereby allowing for a wider sweet spot. Each one of the system’s drive units has its own power amplifier with a total rating of 500W, 250W for the bass driver and 200W respectively for the mid and high frequencies. Frequency response runs from 37Hz up to 20kHz +/- 2.5dB. In real life studio conditions a pair of 1237As can produce peak levels of 126dB SPL at 1.7 m distance. Photo caption: The editing suite for Audio Control Room B at Dallas Audio Post, featuring Genelec 1237A Three-Way Smart Active Monitors™.